MSM (Methyl-sulfonyl-methane) is a naturally-occurring sulphur compound found in our body. 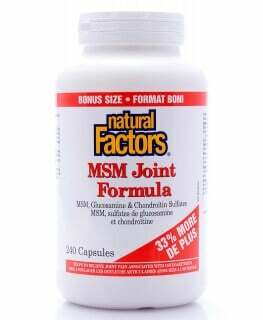 It is a potent antioxidant which helps to support healthy joints and muscles. It is a very effective remedy used to soothe muscle and joint inflammation with the associated pain due to rheumatoid arthritis, osteoarthritis, connective tissue conditions, chronic muscle pain, fibromyalgia, tendonitis and carpal tunnel syndrome. Flora MSM Soothing Massage Rub provides topical use of MSM blended with powerful herbal ingredients that is fast acting and non-greasy, providing maximum joint pain relief. Water, Carthamus tinctorius (safflower) seed oil, Methylsulfonylmethane, Steareth-2, Steareth-21, Glycerin, Glyceryl stearate, PEG-100 stearate, Dimethicone, Butyrospermum parkii (Shea butter), Arnica montana (Arnica) extract, Harpagophytum procumbens (Devil’s Claw) extract, Tocopheryl acetate, Rosmarinus officinalis (Rosemary) leaf oil, Rosmarinus officinalis (Rosemary) extract, Lavandula angustifolia (Lavender) extract, Hydrastis canadensis (Goldenseal) extract, Thymus vulgaris (Thyme) extract, Origanum vulgare (Wild marjoram) extract, Cinnamomum zeylanicum (Cinnamon) extract, Hydroxypropyl guar, Phenoxyethanol, Caprylyl glycol.